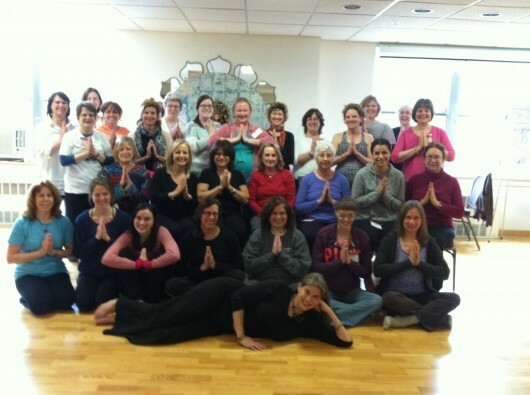 Join Our CYN- Certified YogaNurse Team in person for LIVE training! In the meantime, nurses are loving the convenience and cost effectiveness of our online e-course available on our dedicated education website. NOTE: NO PREVIOUS TRAINING IN YOGA REQUIRED. AND build your career as a holistic nursing leader, change agent PLUS make substantial income. YogaNurse is endorsed by Jean Watson Caring Science Institute. Self care + Wealth care strategies for holistic nursing heroes. You crave fulfillment and appreciation with the status, respect and pay you deserve. Speak your language encouragement. With a plan, structure and guidance. No Previous Training in Yoga is Required. Learn Simple, “non-intimidating” Proven Strategies. Yoga Nursing can be offered in a variety of settings as an adjunct therapy for all areas of health care. You will enjoy the social support of peers as you learn to enhance the life force of both patient and caregiver. Welcome to a NEW ERA in Nursing. You are intrigued with uniting the ancient wisdom of yoga with modern nursing. You are afraid that the stress related to the pain and suffering you deal with on a daily basis is making you sick. You keep telling yourself that you have to take some time for you but something always comes up that stops you from giving your health the urgent care you know you are craving. You yearn to heal the heart and soul of your inner nurse, but have well…lost heart. You’re bored with the “same old” continuing nursing education you have to take to keep your license current. You wish to inspire your nursing career and seek a new direction in patient care. Getting down on the floor in the work place isn’t practical, or injuries, knee surgery, weight issues, inflexibility and other challenges make getting on the floor uncomfortable. After you learn the self-care program for yourself, you can teach it to a massive health care market place – patients, hospitals, business, government, retreats and groups. My name is Annette Tersigni RN (Ter-sea- knee ), wellness crusader and founder of YogaNurse®, an accredited new movement in nursing. We’re on a mission to expand consciousness in health care, and relieve stress, anxiety, pain and suffering. As a best selling author, speaker, mentor and trainer, I’ve helped thousands of nurses and their patients to experience health, peace and wisdom. Finally, there is hope and a perfect solution designed for nurses by a nurse! I have created a program where you can “Care for yourself, care for your patients, get a vacation, education, inspiration too.” Woo Hoo! Simply fill in your details on the form to the right, so you can get on our list for upcoming trainings! I bow deeply to your vision and mission for YogaNursing. As I continue the mission of caring and healing with you and others. I see, yes indeed, we are traveling in the same waters. 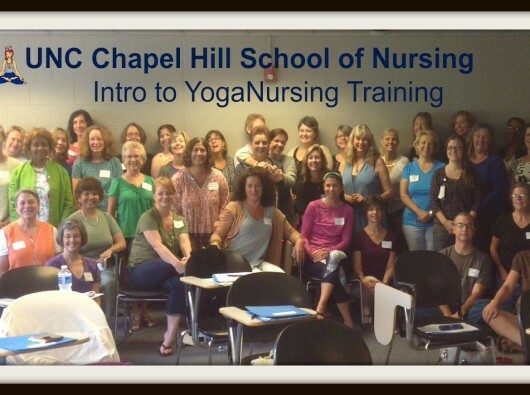 Get the word on Yoga Nursing with these amazing nurses including advanced practice nurses. Enroll for the Yoganursing Essentials eCourse - Study from the comfort of your home or on the move! Your program and networking site look fantastic. 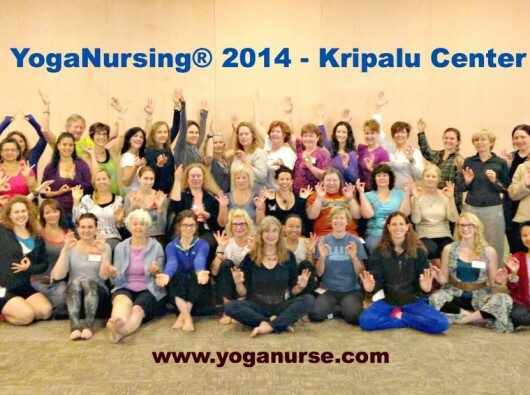 Congratulations on the success of your training at Kripalu. Sending you xoxox. You my dear Stephanie were part of shaping the dream and still are. Congratulations on your program launch at Kripalu!!! Annette, you are a truly sensational yoga teacher and healer…tuned in, turned on, tapped in. Your work as the yoganurse is a gift to the health system and anyone seeking humanstic healthcare. Thank you, thank you, for sharing this healing body of work ! Great job Annette-It’s been great working with you and looking forward to our June gig at Kripalu! Thank you for taking your time to comment, really appreciate it! A co-worker sent your article to me”Is nursing,making you sick, fat, and old,” and I was ecstatic to see that there was such a thing as yoga nursing. I’ve been a BSN prepared nurse of over 15 years and within this last year, I discovered therapeutic hatha yoga thru a wonderful instructor with over 30 plus years experience, thru a once a week class coordinated by ouur nursing education off hours. Its been a life changing experience and I am now getting my hours per the guidelines of international Yoga therapist. I’m intrigued about the Kripalu classes and might look into that in the future. Nurse who have never done hatha yoga don’t realize what they are missing, there is such a need for education on this subject. Hi Rhea, Yoga and nursing is a natural! life changing yes!!! Hope you subscribe so you can hear about ongoing Yoga Nursing trainings and hope to meet you one day and YES, I am developing T shirts cuz many have asked! Lovely to meet you here. Stay in touch. This is a wonderful career boost to nurses. Anyone in the medical profession will surely benefit from a program similar to this. Caring for people can be stressful and if the caregiver is doing yoga, they will be more calm in handling emergency situations and their daily tasks. i appreciate your thoughtful comment. you are right on re yoga helping caregivers to handle stress. best to you in your ongoing trainings! Are there any plans to have the Yoga Nurse training at other locations? I have tried to go for 2 years in a row now but Mass. is too far to travel! When you add airfare on top of room and board and tuition its not feasible. Do you offer it anywhere else? maria, thank you for your interest! i am planning to run the trainings here in my hometown in the South in North Carolina. Stay tuned! also, i am developing online trainings. so much potential and i just met with a group of integrative MDs who i gave an experience of Yoga Nursing to at the Kripalu center. hope you have subscribed to my list. Best! Greetings from Idaho. As a long time yoga practitioner, but not yoga teacher I want to commend you. Is there any chance you would present a training out West, ie Idaho, Montana, Salt Lake City? Thanks for your good work. All health care providers need to be able to care for themselves to prevent burnout and provide centered care. All good things. Kath, somehow I missed this comment. sorry! I would ADORE to come out West. I am traveling to present programs currently. It often happens just like this….meaning, if you can organize with me helping you of course, a training at a yoga center, or a nursing org, hospital, I can happily come. this is my mission and vision. let me know if this is interesting for you. You could also assist me in the training 🙂 are you also a nurse? hope to hear from you! I have been doing a lot of research on how to marry yoga & nursing ( I am a RN and currently in Yoga Teacher Training), and was ecstatic to find your site! When working as a “Yoga Nurse” after taking your training, would you be working as a “nurse” therefore satisfying the hours needed in order to maintain your license? I want my focus of my nursing practice/business to be yoga based but to count toward keeping my nursing license active….. I am currently not working as a nurse while staying home with my son but would love to reinvent myself. I have no interest in going back to floor nursing though. I have always dreamed of having my own holistic health based business and would love to find a way to make it work!!! Do you think you’ll make it back to Kripalu in Lenox another time? I am REALLY interested in this program but I just had a baby so there’s no way I can make it this year. I am so excited to have stumbled upon your website! I am starting my nursing clinicals in January and have been dreaming and brainstorming about how I can integrate yoga, meditation and nutritional counseling into a holistic nursing practice. I look forward to finishing my nurse’s training and attending one of your workshops. In the meantime, do you have any suggestions about what I can do now to help prepare for a career in holistic nursing? Thank you for your work. It is nice to know I don’t have to reinvent the wheel. Love your post. Here’s some brainstorming action for you. Listen to this in-depth interview to get your wheels turning. Also, Do sign up for my newsletter to get word on my trainings including a much in demand ONLINE training, coming soon. Congrats on going for your RN and a combo holistic practice. here’s the link, it’s also on my press page thru this website. BEST! I have been a BSN for 30 years. First started out in oncology nursing, then to home health nursing and am now starting my 15th year as a school nurse. I have been practicing yoga for a couple of years and have had the pleasure of experiencing Kripalu several times over the past couple of years. Yoga has become an important part of my life. Your retreats and the Kripalu course sound interesting. Will you be having others in 2013? I sent you and email with my comments. Glad you stopped by. Yesterday I taught my first yoga class. It was for some of my fellow students in the Yoga Teacher Training. I had intended to take turns with the others and had prepared myself thus, but as they hadn’t prepared themselves I was asked to do the whole class. I happily obliged. I adore teaching. This is such an awesome program! I love yoga! Thank you for sharing this.